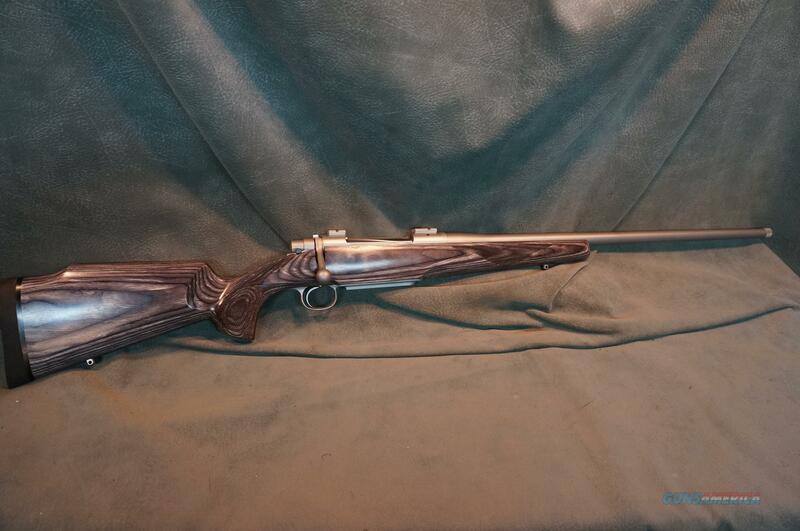 Cooper M52 Laminate Sporter 300WinMag New Model! Description: Cooper Model 52 Laminate Sporter 300WinMag 24" threaded stainless barrel,stainless receiver,spiral fluted bolt,Timney trigger,gray laminated stock with palm swell,new in the box with bases.ON SALE!! We buy,sell and trade new and used firearms.This is our 42nd year in business.Firearms will need to be transferred through a FFL dealer.Prices reflect a cash discount.There will be 3% added to credit card sales.We trade for gold and silver.Gun collections wanted. THANK YOU! !